Send in a photo of the inside of your office desk drawer and if we think the contents need locking away, you could be in for a chance to win a new NANO90. The more unusual the contents, the greater the chance of winning! With a footprint of just 30mm x 90mm, our new compact digital keypad lock is perfect for securing office desk drawers. It’s our first product that can be flush fitted; making it a smart-looking addition to many items of office furniture. 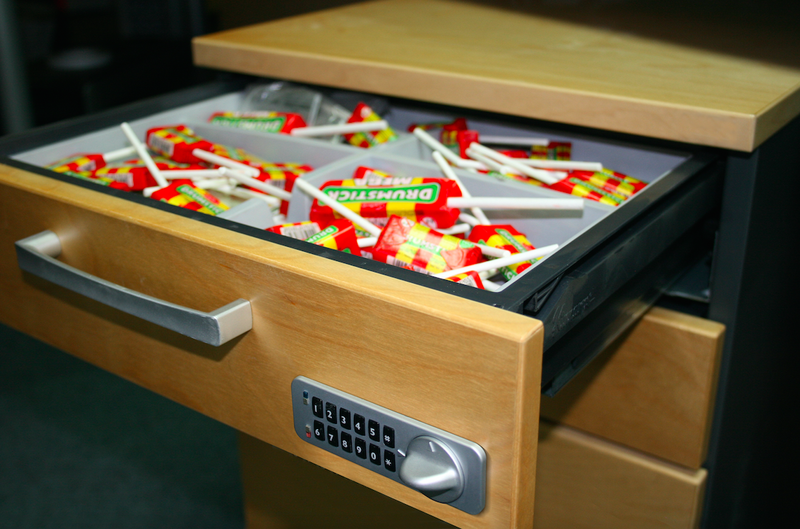 To get the ball rolling, here’s a photo of what’s inside our marketing manager’s desk drawer. This hoard of lollies definitely needs to be kept locked out of sight from the rest of the office. 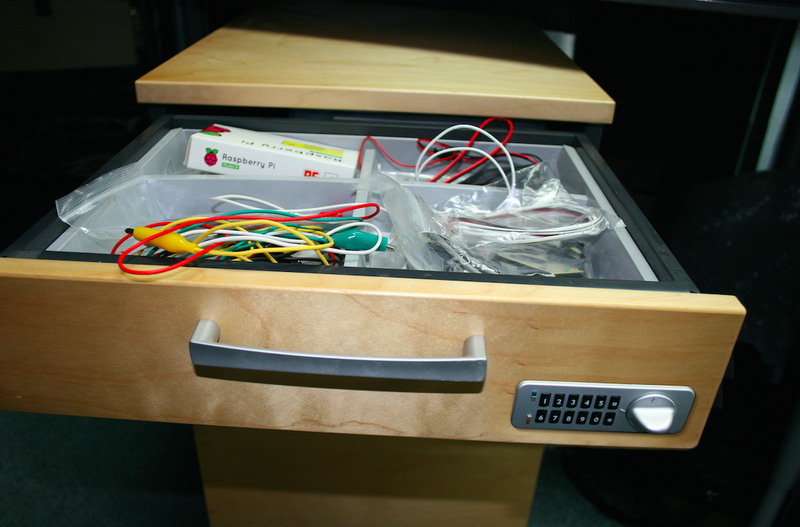 The contents of our systems manager’s office drawer is far less exciting – just a predicable mix of ‘useful’ wires and miscellaneous tech.